May I have the definition of “heaping spoonful”, please? Nothing’s better than making cookies on a Sunday morning. Ok, I lied. I can think of a lot of things that are better. Like my new purple converse hightops. Although apparently I destroyed them with the black and white laces, according to my mom. But I like the laces, don’t you? Just say yes and we can move on. Or like my new batman shirt. I got the shirt a few days ago when I went shopping with my friend Muriel. Yes, I know someone named Muriel. That also might be more awesome than cookies…hmm… But aside from superhero shirts, cool shoes and girls with interesting names, Sunday morning cookies are pretty darn amazing. I was in the mood for oatmeal cookies and after much elaboration between the different variations of said Oatmeal Cookies found on the website AllRecipes.com, I decided upon the Chewy Chocolate Chip Oatmeal Cookies. Nah, I’m joking. It was the first recipe I found. I quickly scanned through it to make sure there was butter, sugar, oats and chocolate chips and I was sold. The cookies turned out well, luckily. The only thing that bothered me was the heaping spoonful part (can you tell?). The first batch I used a rather large heaping spoonful. When they took forever and a day to cook, I used a slightly smaller heaping spoonful. 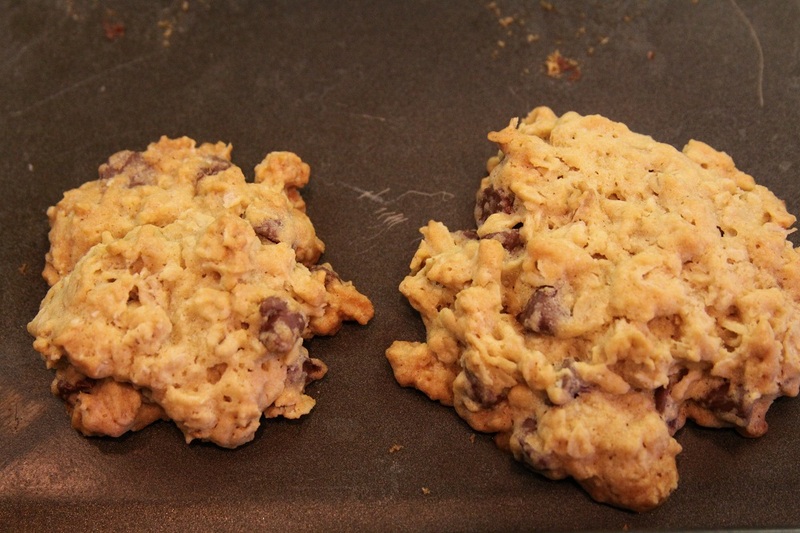 First batch cookie is on the right, second batch cookie is on the left. I feel like it’s that optical illusion with the lines. Which cookie looks bigger, A or B? They’re both the same size! Well, at least they should have been. And then I kind of got a little crazy and added coconut to the third batch, for reasons still unknown to me. They actually might have been better than the other batches. I mean, if you like coconut they were good, and I’m pretty sure I’m the only one in my family who does. Guess I’ll have to eat all of them! Have I mentioned I gave up on my diet? But anyway, if you want to make the cookies, here’s the recipe. Bake to your heart’s content. Or until you realize there’s something burning on the floor of your oven and the entire house smells like smoke, so you have to stop. I say this from personal experience like an hour ago. The bottle of Febreze and I have become very close. 2. In a large bowl, cream together butter, brown sugar and white sugar until smooth. Beat in the eggs, one at a time, then stir in vanilla. In a separate bowl, combine flour, baking soda and salt; add into butter mixture, mixing just until blended (I’m still annoyed about that part. So if I over mix it, is the world going to blow up?! It doesn’t say. And I’m bothered by it.). 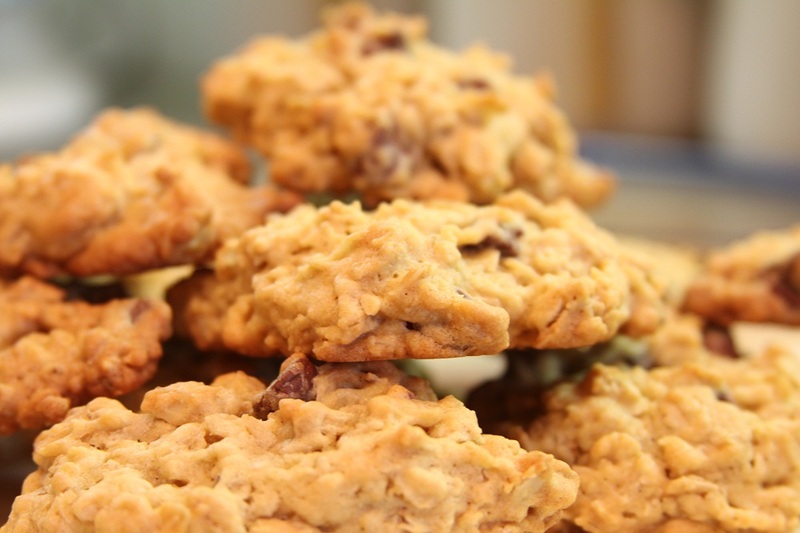 Mix in oats and chocolate chips. Cover bowl and refrigerate for 1/2 hour. (you can skip this part of you want to, but then you’re just being lazy.). Drop by heaping spoonfuls (no comment) onto ungreased baking sheet. 3. Bake for 12 minutes (not 11, not 13. 12. Again, trust me on this one.). Allow to cool for 5 minutes before transferring to wire rack. 4. 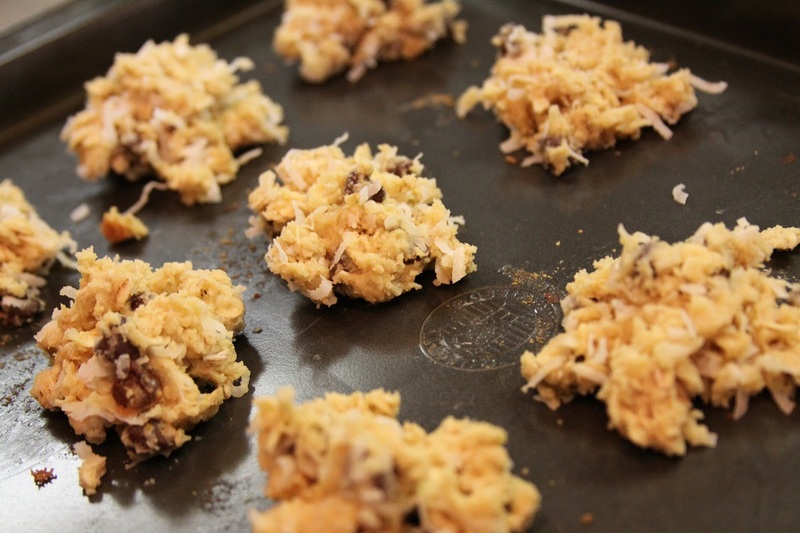 Pretend you’re cookie monster and eat them. COOKIE! OM NOM NOM. Fine, you party pooper, you don’t have to. But you really should. It’s much more fun that way. You have raised a heap big (Native American talk) conundrum. What is a “heaping” spoonful? I am not sure what that is. However, we all know that a spoonful of sugar helps the medicine go down. I am wondering what a “heaping” spoonful of sugar could do. The possiblities are probably endless. Exactly my question, what is a heaping spoonful?! The definition of a heap is an untidy collection of things piled up haphazardly. So, I was supposed to “haphazardly” spoon the cookies onto the cookie sheet? Annoying. For the record, i think the shoelaces are awesome and a good personal touch. Thank you. That’s why I love you. Mmm… those cookies look delicious! Also that Batman shirt – way cool! My husband would love that shirt! 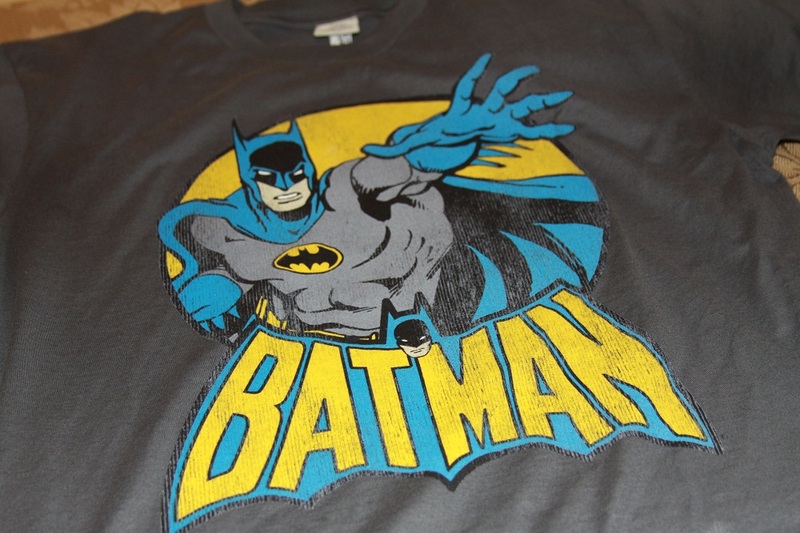 And yeah, it’s probably the most amazing batman shirt in the world. Ever. ok i almost crapped my pants when i saw those shoes. You know why? 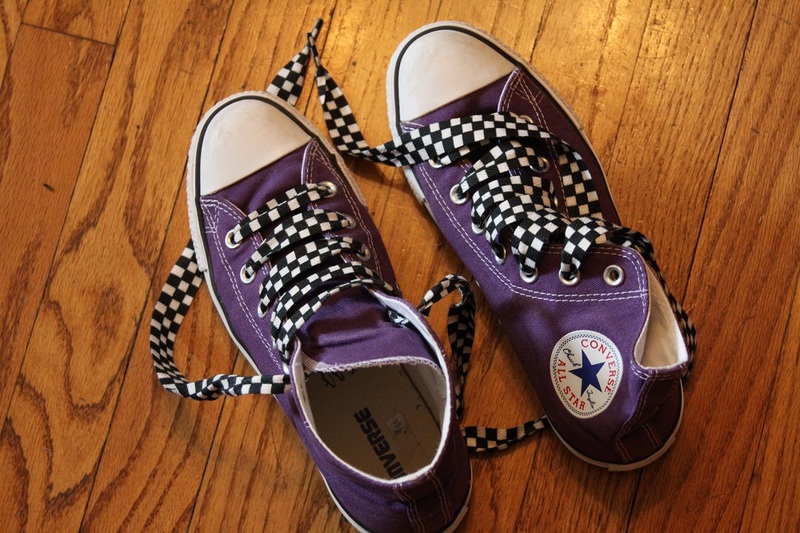 Because i have those same shoes with the same laces…. Did you get those laces from nike? I felt someone broke into my house and took a picture of my shoes—my god that was funny and scary at the same time…. Serious?! That’s so creepy :) I got the shoes and laces from Journeys. But wow. Crazy.